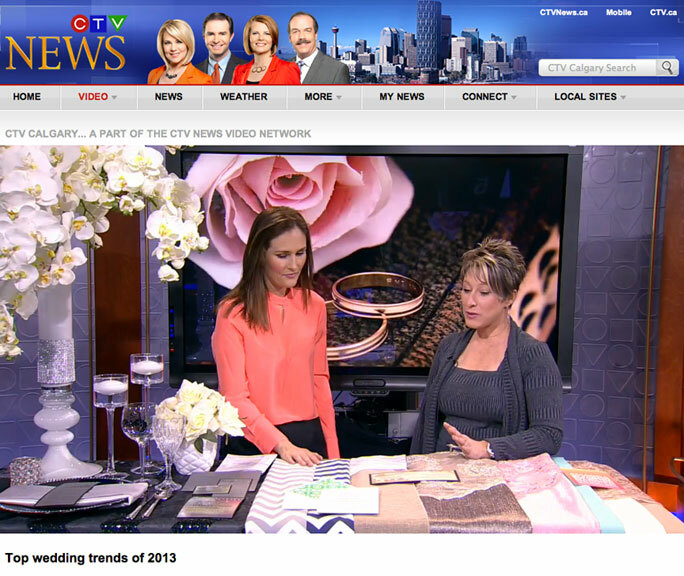 Did you happen to catch Lynn Fletcher on CTV Monday morning, showcasing the top wedding trends of 2013. She mentioned some of my favourites too – chevron, emerald green and Gatsby. How fun to see a photo from our shoot for Luxe by Calgary Bride at Azuridge, flash across the screen, demonstrating how change-up classic purple wedding flowers. Well done Lynn! See the whole segment here. Here’s the elegant photo shoot for Luxe by Calgary Bride, if you’d like to see. 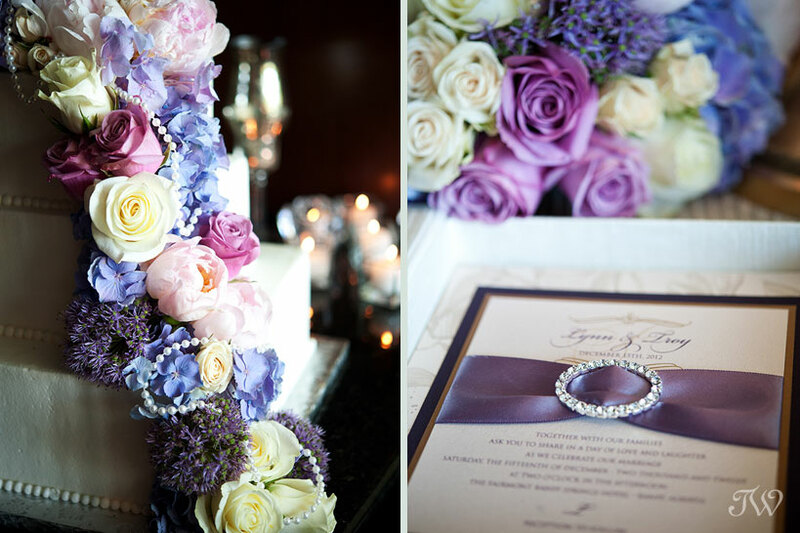 Purple wedding flowers captured by Calgary Wedding Photographer – Tara Whittaker. This is Calgary. Enough said. Here’s a spot of something green for Sunday. Happy St. Patrick’s Day everyone! Need more green? Check out Episode 20. It was a pleasure to work with Victor of Artists Within and Formans Fashion Group, on a shoot for Luxe by Calgary Bride. This is just a snippet from the day with more to come soon. How handsome is Victor? Not only was he sweet to work with, he was up for anything. Here’s a little behind-the-scenes tidbit. We needed to add a hint of sophistication to Victor’s look, so I pulled off my own specs for a shot (shown above). In case you’re interested, they’re from Dita. Today my post is short, but very sweet!! Need more romance? See more kissin’ here. See more from Krista & Jeremy’s day after session here.